After watching a few television shows or movies, you might wonder how to become an FBI agent, because the work seems so exciting. While becoming an agent can sometimes be exciting, you’ll also spend a large amount of time working behind a desk and doing research on your own or as part of a small team. The entire process from start to finish can take up to a year or longer, but you should look at the general requirements of the job and everything the application process entails before submitting an application. The Federal Bureau of Investigations, better known as the FBI, has some requirements in place that you must meet before applying. You must be between the ages of 23 and 37 at the time that you begin the job. You must also be an American citizen, have some real life working experience and have a bachelor’s degree from an accredited university or college in the United States. All applicants must also commit to working wherever the FBI sends them. Though you can list a few places you want to work, you have no control over where you will actually work. To become an FBI agent, you must also go through the online application process. This process consists of two separate steps. After submitting your application, you will need to take several written tests that the FBI uses to determine your skills. You may also take a few tests relating to the major you studied in college. After successfully completing those tests, you will need to go through a second phase of testing. This usually involves meeting with agents, answering their questions and then taking some more written tests too. If the FBI determines that you meet the criteria for a field agent position, it will send you a conditional employment letter. This guarantees that you will receive a job offer if you meet the required tests. This tests include a background check, fitness test and psychological test. The background check must show that you are free of any criminal charges and may look into your credit history too. The fitness test lets you show that you are in good physical shape and can hand the physical demands of the job. All applicants must also successfully pass a series of psychological tests before getting a job offer. You can only become an FBI agent if you successfully go through the FBI training program too. The FBI will place you into this program after you go through the application process, receive your conditional letter and pass all tests. According to the FBI, this training takes place at the official FBI Academy and lasts for 20 weeks. The academy teaches you how to complete the duties of the job and ensures that you have all the necessary skills for working as a field agent. After graduation, you will receive your official job offer and learn of your field placement. 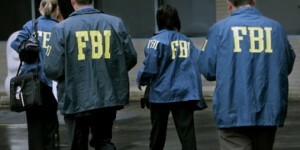 FBI field agents work on cases ranging from drug trafficking to kidnapping. The job requires a unique series of skills that you may gain from your time in college and while working in the field. To become an FBI agent, you must pass a series of tests and go through the application process before going through FBI training.